Home / News / Club News / Luke and Josh re-commit to MKFC for 2018! Luke and Josh re-commit to MKFC for 2018! Melbourne Knights are continuing to announce new-comers and old-favourites for the 2018 NPL season. The latest players to recommit to the men’s squad, two of Knights’ junior products, are Josh Brekalo and Luke Jurcic. “My personal goal for this season is to try and stay injury free for once, for the past two seasons I have missed months of football from two more serious types of injuries, so it would be great to spend more time out on the park!”. “You feel a bit of a buzz around the rooms which is good, and it’s what we want. Hopefully once Aljoša and Dean arrive it continues”. The club is excited to welcome back Brekalo for another season and is looking forward to supporting him and the rest of the squad in their goals for next year. “I think it will be good for all the juniors, to have a player of his calibre leading their development. I think he’ll try to continue the promotion of young players who can make that next step [into the senior team], such as myself, and many of the others”. “My message to anyone looking to come back, is probably that now, more than ever – we need the support of our fans. We have a really young squad, and especially after what we went through this season – having people there supporting us and cheering us on can really make a difference”, said Jurcic. “The support has always been great for us, and I think we undoubtedly have the best fan base in the league – but having more people at our games can definitely make a huge difference for us out on the field”. After a call to arms from one of the squads youngest, we welcome Jurcic back for another season at Knights, we wish him all the best and advise that fans keep a keen eye on him, as he promises to continue to be a strong choice in the Knights’ first-team selection. 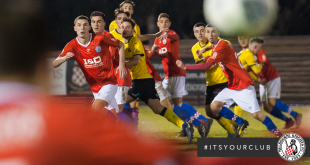 Keep an eye on all of Melbourne Knights social media pages before Christmas, as we release further information on player signings in the coming days.